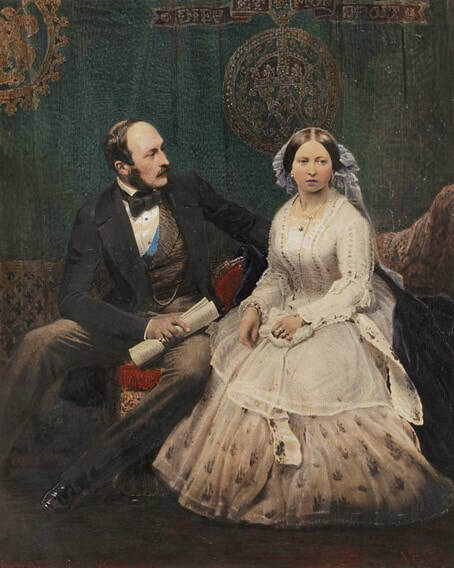 ​The Amherst Victorian Dance Society learns and practices dances popular during the reign of Queen Victoria. The focus is on 1837 to 1901 and includes dances such as the Grand March, Waltzes, Quadrilles, the Schottische, Reels, Two Step, Polkas, Gallops and many more couple and group 19th century social dances.​ Members also learn about the customs and manners, dress, music and history of the Victorian Era. In addition to our twice a month instructional meetings lead by our dance master, the Society is available to give Victorian Dance demonstrations. We would be honored to put on a dance demonstration at your next event. Use the Contact page to get in touch with us and book a demonstration. 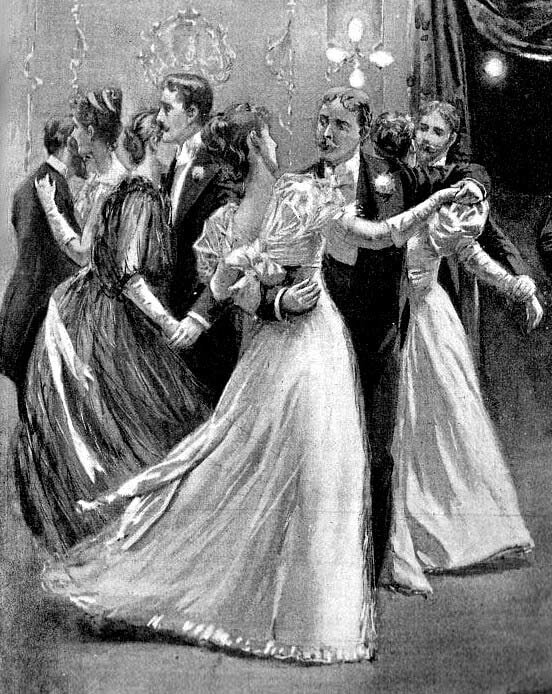 The Society also sponsors an annual Victorian Ball with live period music, pre-Ball workshop to learn the dances on the dance card for the Ball and the leadership of a skilled dance master throughout the workshop and the Ball itself. Use the Contact page to get in touch with us if you wish to attend the Ball. The Ball is usually held the Saturday of Veterans Day weekend. New members are welcomed at all times ! Couples, singles and families are invited to join. Come and try us out for up to three meetings before joining and see what fun we have dancing and socializing with a Victorian flare ! See SPARE PARTS link under "Resources"
Sponsored by the Amherst Victorian Dance Society, a Guild of the Buffalo Niagara Heritage Village, at Lucarelli's Banquet Center. Guest Dance Mistress, Cathy Stephens of London , Ontario leads Ball guests in the Eightsome Reel. Music by Phil Banaszak, Gretchen Banaszak and Laurie Penpraze of "City Fiddle" of Buffalo, N.Y. The "Sussex Waltz" by The Spare Parts. 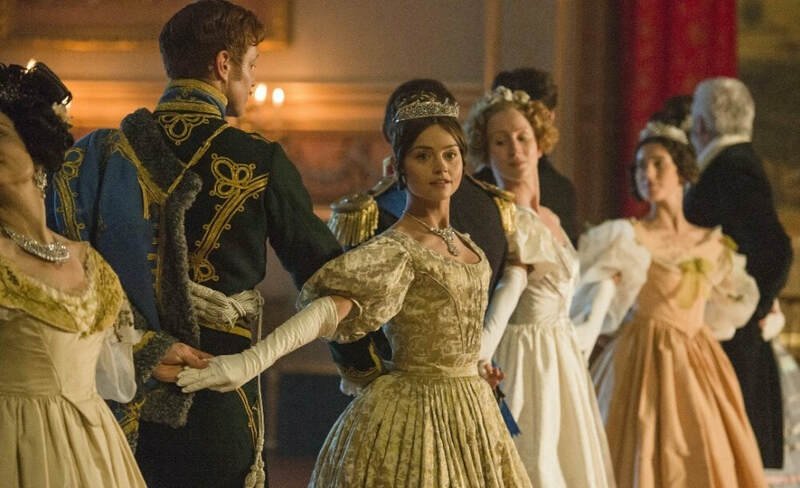 See Spare Parts link under "Resources"
Below are scenes from the WNED (PBS) sponsored series "Victoria". See WNED's website link in Resources /Link tabs above.